Our Glacier National Park vacation started with a couple of days in Seattle and an Amtrak ride to the park. Seattle has so much to offer, but my favorite site was the Chihuly Garden and Glass Gallery at the bottom of the Space Needle. I believe it was a temporary display, so I can’t say whether it’s still there. We actually went twice in one day – once in the afternoon and once after dark. 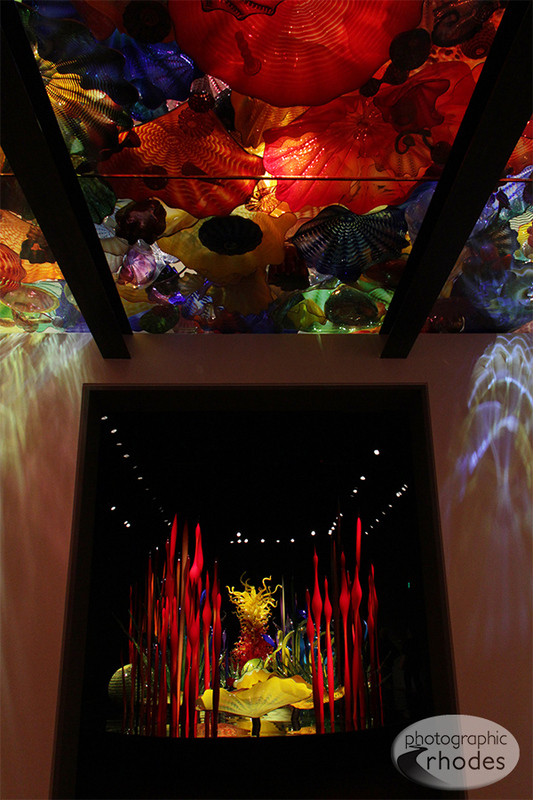 Dale Chihuly is the guy who designed the glass work in the Bellagio in Las Vegas, if you’ve ever been there. His art is absolutely stunning, don’t you think? Have you ever seen his art in person?